Please Note: Please note that, although rare, departure times are subject to change. Ferry departure, arrival and travel times vary dependent on season and weather conditions. Please contact [email protected] prior to making any connecting travel plans. The trip departs Rome from the Roma Termini train station Thursday evening. The meeting point is in front of the Nike store at the front of the train station. Please meet your trip leader at least 20 minutes prior to departure. Make sure to bring your passport and have it with you on the bus, as we will be driving through border control. Travel to Croatia is by private luxury coach with A/C, DVD, and bathroom. We make one 45 minute stop and drive overnight. Upon arrival to Split Friday morning, we will check into our accommodation. Please note, travel time to and from Split may vary due to Schengen zone regulations enforced at the Croatian border. Friday you have all day to explore Split and its surrounding areas. Bus2alps will organize a river rafting trip on the Cetina River in which you can choose to participate. If you choose not to join any of the outdoor adventures, you can spend your day laying out on one of Split’s beaches, join an included walking tour of the Split city center, visit Diocletian's Palace, rent a bike and ride up Marjan Hill or take a day trip to local surrounding towns, like Omiš. Friday night there will be an optional pub crawl (not included) to experience the best of Split’s bustling nightlife. Meet in the hostel reception area at the designated time set by your Trip Leader if you are interested in joining the pub crawl. If you choose not to join the pub crawl, the night is free to explore Split’s many restaurants and cafes or to stroll along the waterfront Riva. Saturday you have all day to explore Split, the second largest city in Croatia and largest on the Dalmatian Coast. For those interested, Bus2alps will organize a private island cruise that heads to the island of Brač (not included). Meet in the hostel reception area at the designated time set by your Trip Leader to depart for the Island Cruise. We will sail to the island of Brač and enjoy an included lunch onboard before hopping off upon arrival at the island's center, the town of Supetar. 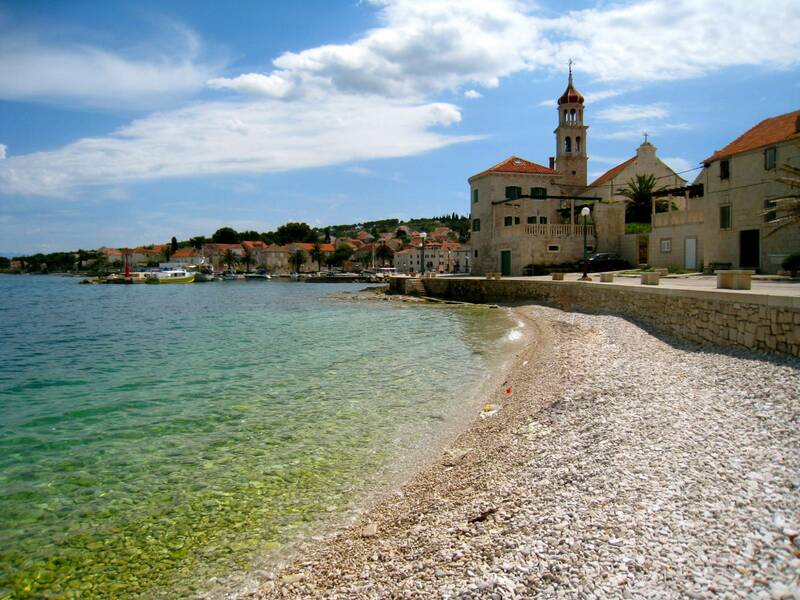 Brač is known for its rolling hills, isolated bays, clear waters and in the summer months, water sports and activities. You will have time to explore the island, relax on the beach and swim for a few hours in the afternoon before sailing home in the early evening. If you stay in Split, you can spend your day laying out on one of Split’s beautiful beaches, join a tour of the Diocletian Palace, go to Marjan Hill or take a day trip to local surrounding towns. Saturday night your Trip Leader can provide you with recommendations for where to eat or for checking out some of Split’s many great nightlife options. Sunday morning we will depart Split for Krka National Park. There you will have a few hours to swim and explore some of Mother Nature’s incredible waterfalls, most notably the Skradinski Buk. We will depart Krka for Rome in the late morning/early afternoon and will make one stop en route for dinner.